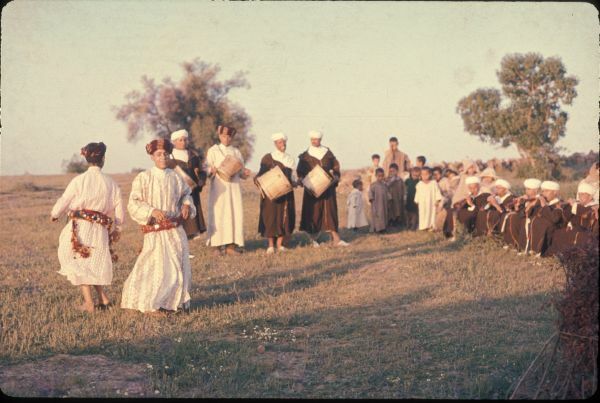 The Master Musicians of Joujouka paid tribute to Brian Jones, on the 50th anniversary of his visit to their village in 1968, with their annual festival in Joujouka and a series of events in Marrakech, including a concert for Atlas Electronic. 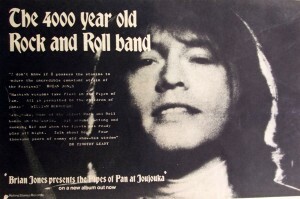 Jones visited the village on 2nd August 1968 with Mohamed Hamri and was accompanied by Brion Gysin, Jones’ girlfriend Suki Potier and Olympic Studios recording engineer George Chkiantz. 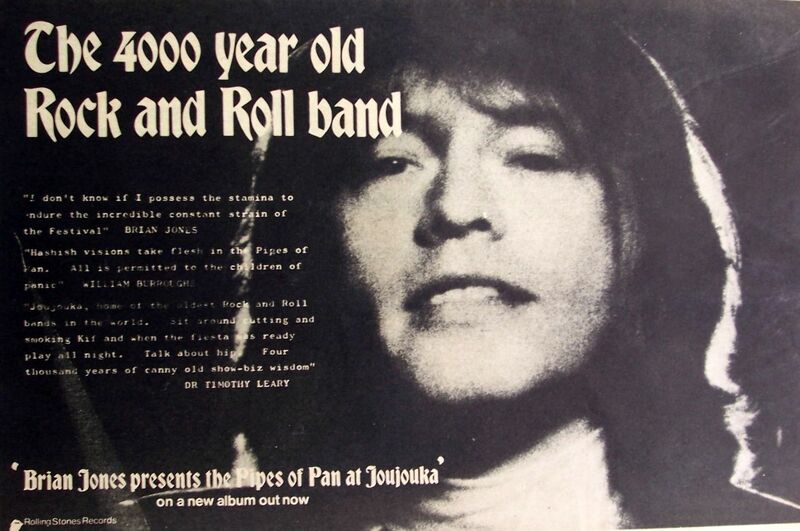 Using a portable Uher two-track tape recorder Jones made recordings during his visit to Joujouka that where mixed by Jones on his return to London for what became the album Brian Jones Presents The Pipes Of Pan At Joujouka, released after his death in 1971 on Rolling Stones Records. 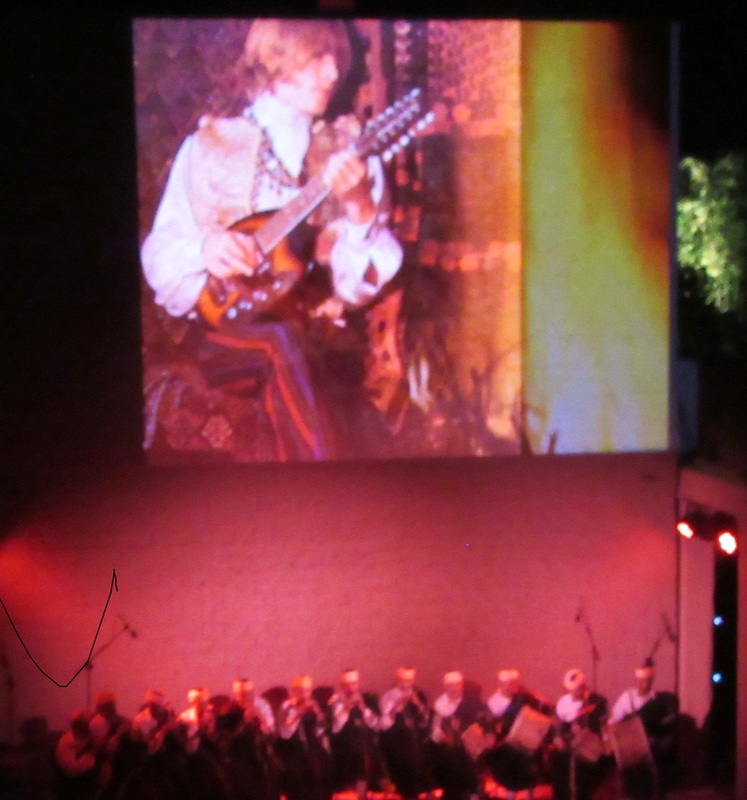 The Master Musicians of Joujouka performed a four-hour set at Villa Janna in Marrakech on 30th June 2018, with live visuals by Joachim Montessuis, that featured footage and images of the Master Musicians and Brian Jones to commemorate the 50 years since his visit.